Steve and I started our cross-Canada trip about as far West as you can get: Vancouver Island. We flew from Comox, BC to Calgary Alberta, however, so the real "roadtrip" portion didn't begin until later. Enjoying some BC Ferries deck time! Some friends took us to Nymph Falls near Comox...it was beautiful! In Calgary we enjoyed visiting the Calgary Zoo, ogling the penguins, the fantastically enormous rhinoceros, and Steve's favorite: the cougar. The next day we met up with the rest of our roadtrip team: Kat and Malerie! The day began at 5AM, and we had a lot of driving to do! Filling the first tank for the first time! And probably the cheapest time too. Regis assumed his favorite place in the car. 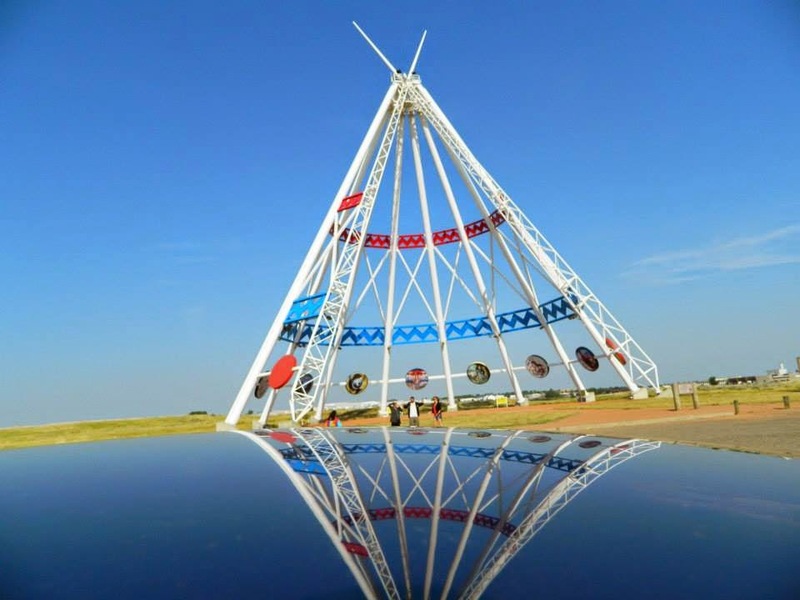 Saamis Teepee: the largest teepee in the world! Medicine Hat, AB. I know, I know. The prairies have their own kind of beauty...and I probably haven't given them a fair chance.To me, the prairies are boring. They're flat. No mountains, hardly any trees, a few sad-looking lakes...it just doesn't do it for me. So I wasn't sorry that when we started our cross-Canada roadtrip, we basically cruised right on through, almost without stopping. 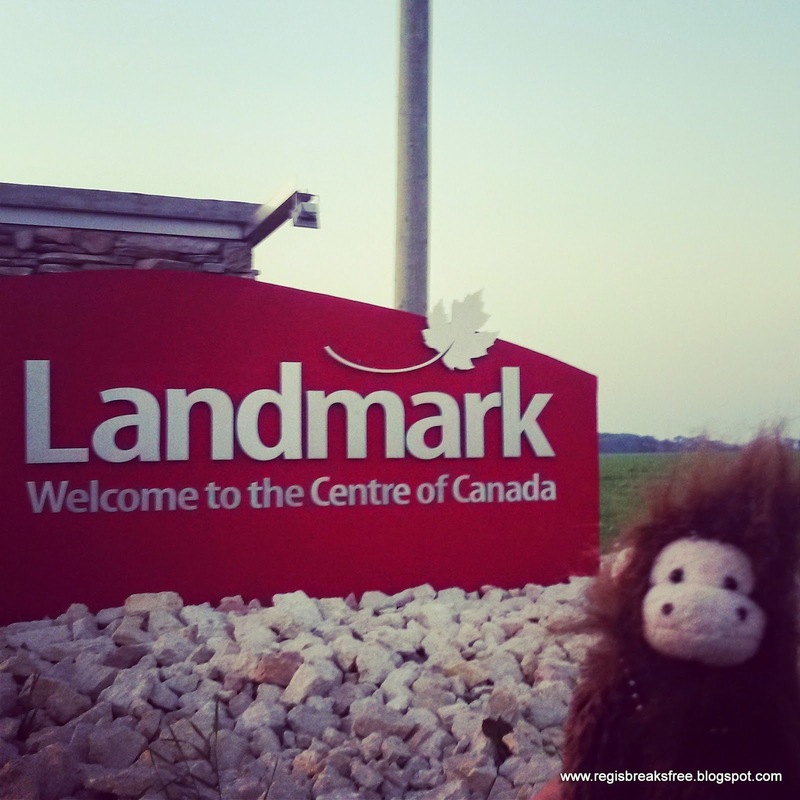 We drove all the way from Calgary Alberta to Landmark Manitoba in one day! It was a VERY long day of travel, and to be honest I actually slept through most of it...still recovering from treeplanting season! One thing I will give the prairies is some spectacular sunrises/sunsets. But apart from that...it just seems really flat! Next time: our detour through the states, and our first big sightseeing day!